Watching a Craftsy class taught by Anne Hanson of Knitspot fame. I am taking the Improving your knitting class because there is always room for improvement. As a pretty much internet/self taught knitter I have always felt like I lacked technique so this is my attempt to fill in the holes. Heh. See what I did there? To celebrate feeling better I am casting on for a Woodcutter’s Toque, which is an awesome hat pattern. 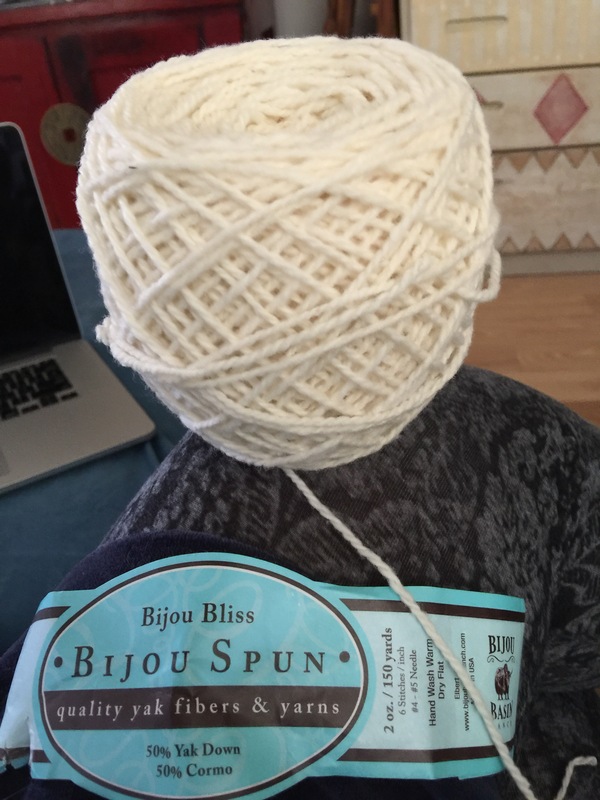 I’m using Bijou Bliss which was a club yarn, I believe, from one of the wonderful clubs that Anne and Co hosted. I have shamelessly stashed many of the club offerings from those days. Anne shared her grandmother’s cast on in the class so that is what I will try out.